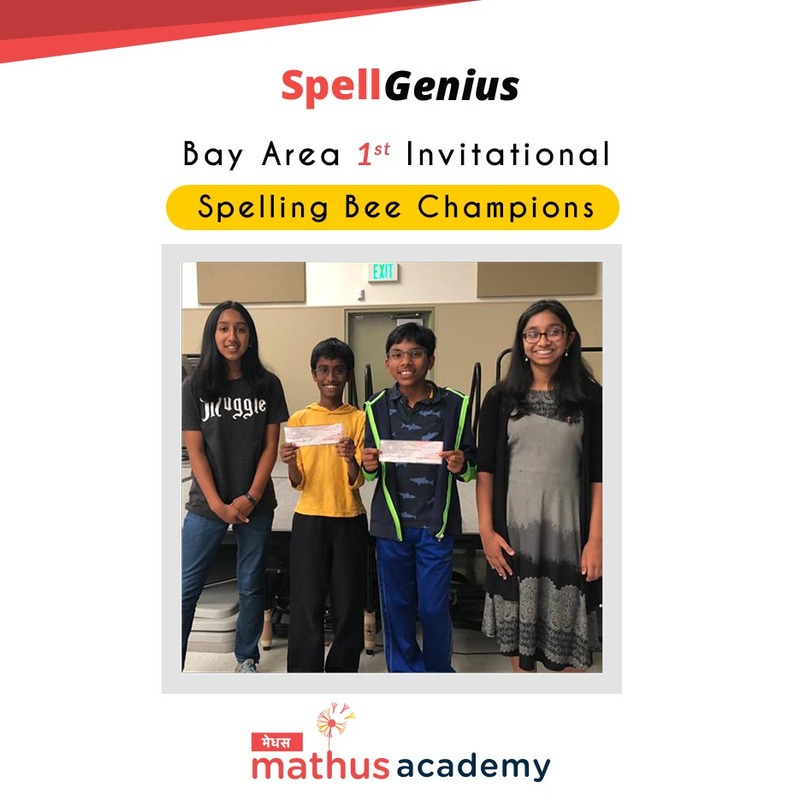 Mathus Academy’s first SpellGenius Workshop & Invitational Bee in the Bay Area was conducted on September 23 Sunday at the Braly Elementary School in Sunnyvale, CA. It was attended by over 100 highly motivated children from all over Northern California and was an unqualified success. Mr. Ram Yeleti, the Founder of Mathus Academy and SpellGenius, kicked off the event to a packed audience. Ananya Vinay, 2017 Scripps National Spelling Bee Champion and a founding coach of SpellGenius, did a scintillating workshop peppered with her inspiring story and preparation tips including languages of origin/root words. Spelling Bee, was awarded $200 cash prize as the runner up. Anisha Rao, another 2018 Scripps Nationals Spelling Bee finalist, won the third prize and was awarded $100 cash prize. We look forward to conducting many such SpellGenius workshops and spelling bees around the country. For more pictures and videos of the event, please visit out Facebook page FB.com/mathusacademy.